As part of our expanding premium marquee range, Celebrate Event and Party Hire is excited to announce we now offer clear roof marquees as part of our marquee hire melbourne range. 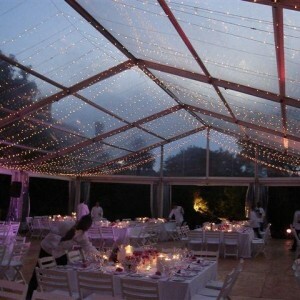 A clear roof marquee can be provided on any of our clear span marquees. 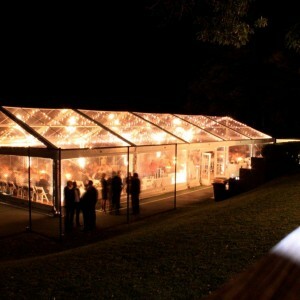 A clear roof marquee will set your event apart from others. During the day they allow the outside world in and create a beautiful vista for your guests. At night they create a magical feeling of being in the open air while still being dry and warm. Combined with a fairy light canopy the look is simply amazing. 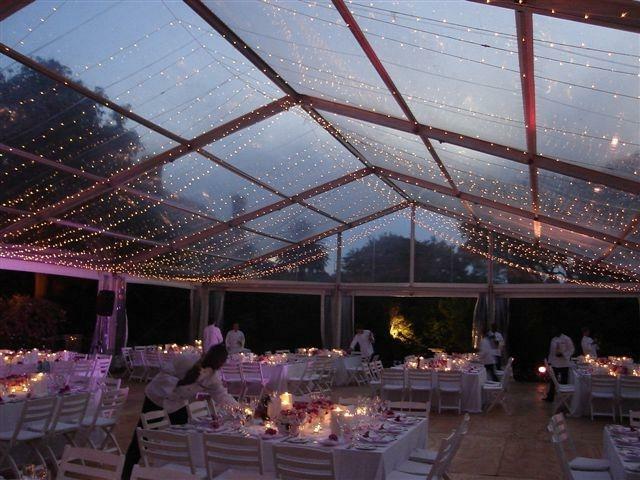 Our clear roof marquees can be provided in any length on our 6m and 10m wide clear span marquees. When combined with clear walls and a premium clear gable, the appearance of a fully clear structure is what is most sought after for the latest trend in marquees. Not sure if you want an entire marquee with a clear roof. No problem, consider just making a section over the dance floor clear or bar area. A mix of white and clear roof panels can create a very striking look and may not be as costly as you imagine. Contact us to discuss all your clear roof marquee hire needs.